Twenty years ago this year, former Massachusetts Institute of Technology researcher Dr. Barry Sears published Enter the Zone: A Dietary Road Map, a book that helped change the discussion about diet and health. Against the established nutritional powers–still clutching the “high carb, low-fat” mantra–Sears championed what he called an “anti-inflammatory” dietary approach to undermining obesity and a host of chronic diseases, including diabetes, cardiovascular disease and brain-based diseases. At the time, little was being said about the connection between diet and diseases like Alzheimer’s and Parkinson’s, but Sears pointed to trends in the modern American diet that were fueling the expansion of these and other conditions. 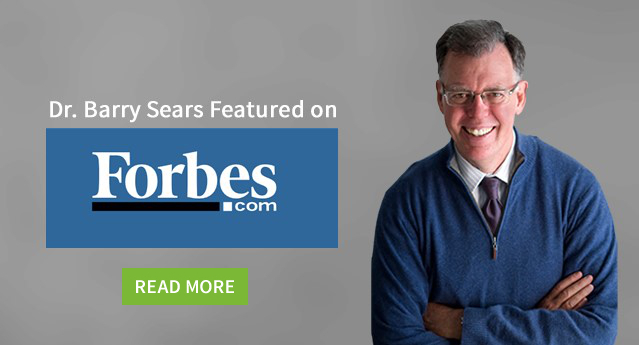 Considering that cases of diabetes have risen nearly 180% in the last 30 years, and both the incidence and severity of new Alzheimer’s cases have skyrocketed in the same period, Sears’s points are well worth revisiting. I corresponded with him recently about his latest book, The Mediterranean Zone, and his evidence-based position on what our diet is doing to our bodies and brains. DiSalvo: In your past work and your latest book you say that there is a direct link between a series of dire health conditions, two of which are already epidemics—obesity and diabetes–and a third that is an epidemic in the making: Alzheimer’s. What’s the line connecting the three? Most of us are familiar with “inflammation” as it relates to injuries, but here you’re talking about a particular sort of inflammation that you argue plays a major role (albeit unseen) in the health of our bodies and brains. I’ve read research suggesting that a super saturation of omega-6 fatty acids in our diets may be linked to psychological-emotional issues, even higher rates of violence. Do you think there’s credible evidence for this? Try to remember what you grandmother told your parents. Eat small, but balanced meals (at least in terms of calories) throughout the day, never consume any more low-fat protein at a meal than you can fit in the palm of your hand, and never leave the table without eating all your vegetables. Her final advice was to take a tablespoon of cod liver oil (rich in omega-3 fatty acids) before you left the house. Who knew she was at the cutting-edge of 21st century anti-inflammation nutrition? If a person wants more detail on modern anti-inflammatory diets, then I would recommend going to zonediet.com.